Presented with the kind permission of Fox News Channel. Special thanks to Brian Gaffney. The Right, All Along: The Rise, Fall And Future Of Conservatism – hosted by Brit Hume — is the inside story of a political movement that, against all odds, changed the world. It started 60 years ago with a small group of determined thinkers and activists and grew into the most powerful force in American politics. This 6-part Fox News Reporting series features rare footage and more than 75 exclusive interviews. 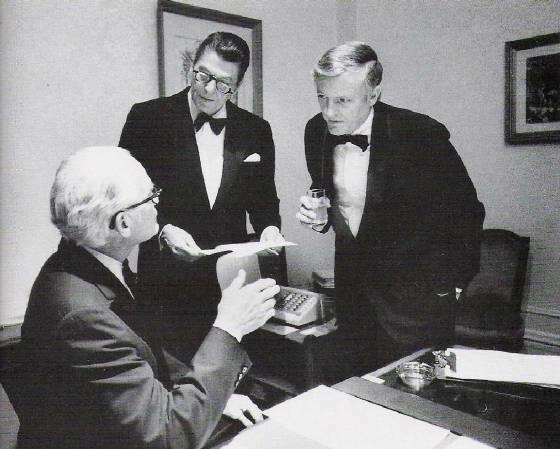 Follow William F. Buckley, Barry Goldwater, Ronald Reagan, Robert Bork, Pat Robertson, Phyllis Schlafly, Newt Gingrich, George W. Bush and many others who tell the personal stories behind the conservatism’s startling victories and crushing defeats. The Right, All Along: The Rise Fall And Future Of Conservatism is a unique blend of history, journalism and storytelling that explains how we got to where we are today, and where we may be heading.